i have a great big love for questions of this sort. questions that hurt your brain after a bit. 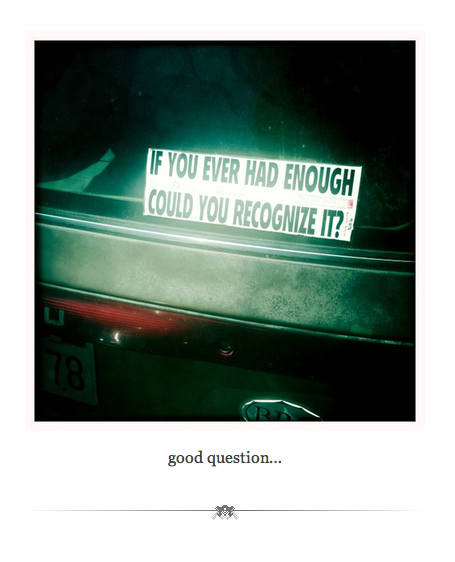 questions that unsettle your particular view of things. I have very few answers? After all, I suppose it's a wise idea to love the things you have in abundance.